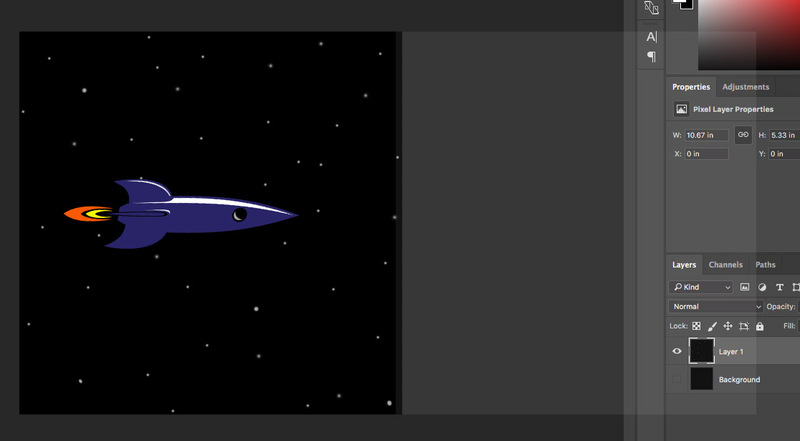 GOAL: Create an animation of a rocket flying through space. The stars will move and the ship will travel up and down. 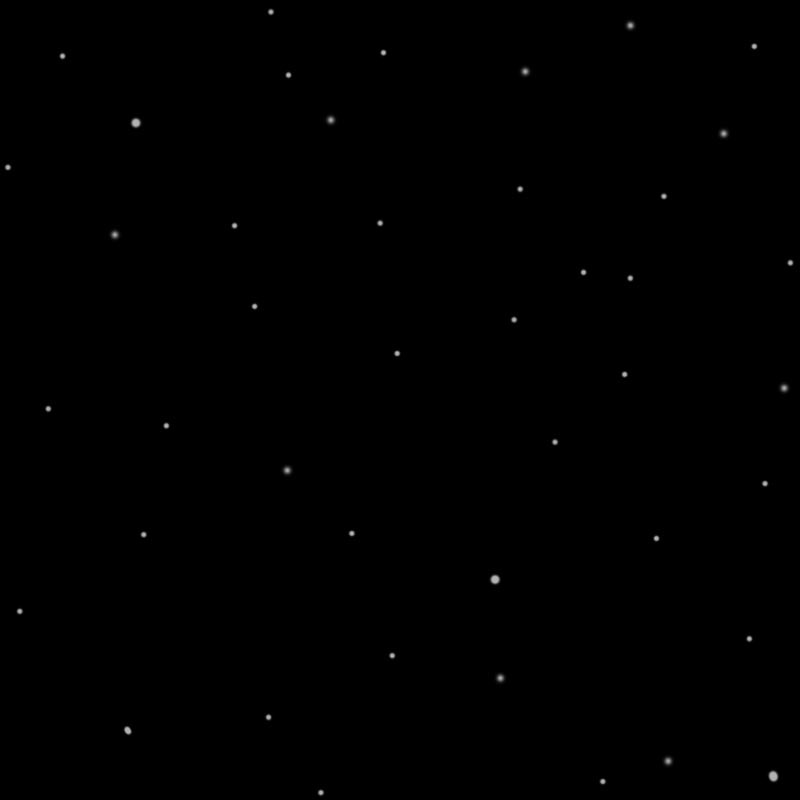 TO do this, you will create a repeating starfield, and use the tween tool to create the animation. Create a new file, 1600 pixels x 800 pixels. Name it wide starfield.psd . Copy the square starfield onto the wide starfield twice. Place the two layers so they completely cover the image. Flatten the image (on the top menu, Layer > Flatten Image). 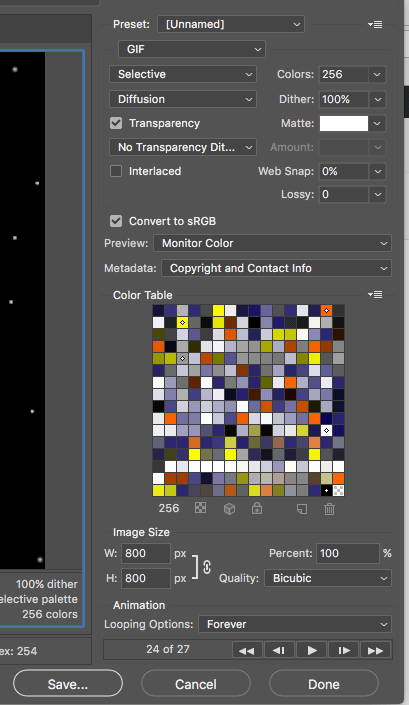 Create a new file, 800 pixels x 800 pixels. Name it Your Name Animated Rocket.psd . Copy the wide starfield as a new layer onto the animated rocket document. Move the starfield so the left edge lines up with the left edge of the file. 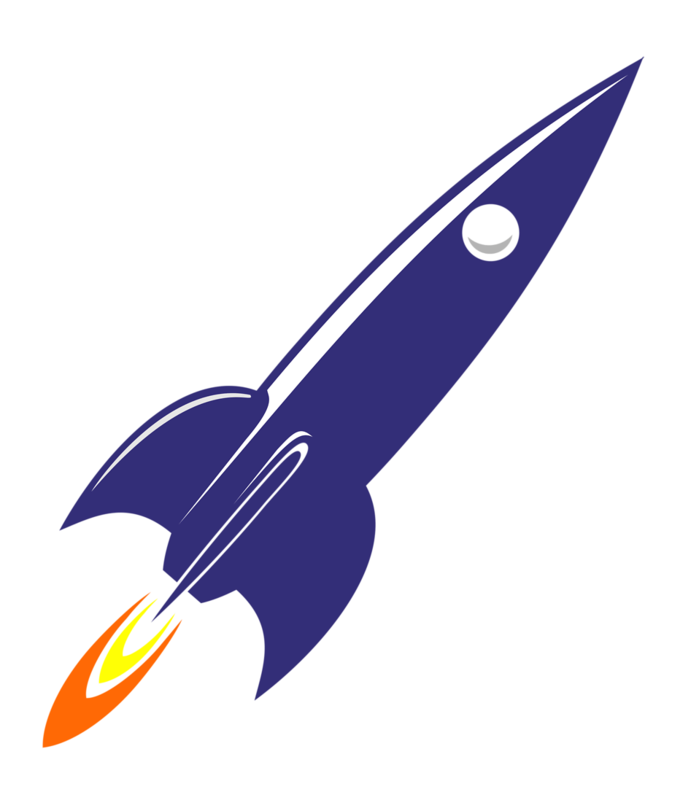 If the rocket isn’t already on a transparent background, cut it out. Copy the rocket to a new layer on the animated rocket file. If needed, transform the rocket so it fits and rotate it so the nose points to the right. Open the timeline window (if it isn’t already open). Choose Create Frame Animation (a big button in the center of the timeline. The frame timeline will appear. Select duplicate frame ( the icon with a folded corner under the timeline) three times. You will have four frames. In frame 2, move the wide starfield about a third of the way to the left. Move the rocket toward the top of the frame. 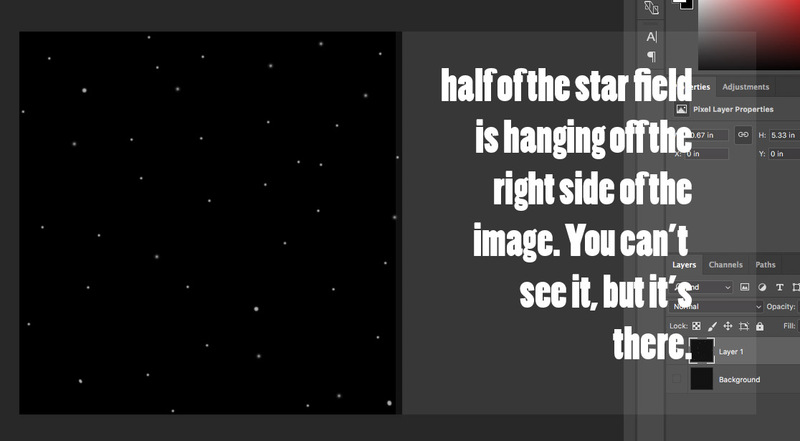 In frame 3, move the starfield roughly two thirds of the way to the left. Move the rocket toward the bottom of the frame. In frame 4, move the starfield all the way so the right side lines up with the right edge of the frame. Don’t move the rocket. Tween between each pair of frames. 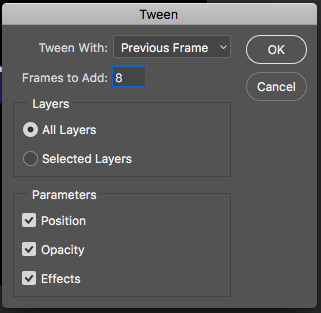 Select the tween button (at the bottom of the timeline). Use these setting to generate the in-between frames. Eight frames will appear after frame 3. Frame 4 will move to frame 12. Select frame 3, and repeat the tweening steps above. Select frame 2 and do the same thing. You should now have 28 frames. Delete the last frame by selecting it, then selecting the trash can at the bottom of the timeline. Press the play button on the timeline to watch your rocket fly! 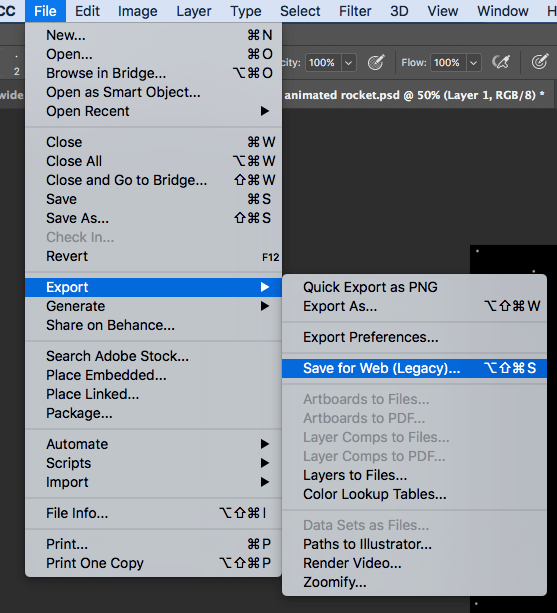 If you want to see your animation outside of Photoshop, you’ll need to export the file into a format that other applications can understand. One common form is a GIF.